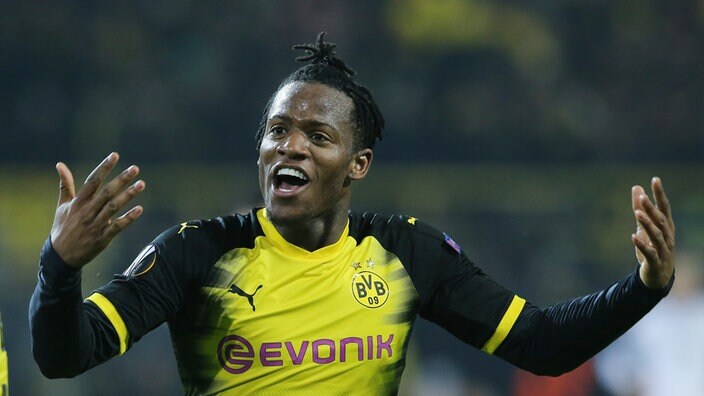 On Loan Chelsea man Michy Batshuayi has confessed how much he is enjoying himself in Dortmund and how he looks forward to every game. In an interview with Belgian outlet Sporza, He said: "At Chelsea, I didn't have it easy. By contrast, it's going really well here with my teammates and fans. I was really welcomed. It's just perfect here, like a family. That's what I need." "Confidence is very, very important for a footballer. It's fantastic. I always want to score in front of the Yellow Wall!" Speaking about his time at Chelsea, he spoke of how disappointed he was always being on the bench. Batshuayi's loan move will only last until the end of the season and his contract with Chelsea expires 2021. But if he continues with his incredible form, Dortmund might be forced to make a move for him and make his loan move permanent.